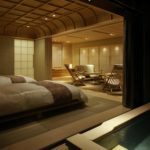 One of the newest of Japan’s top ryokan, Ikaho Onsen’s Kaichoro is perhaps the most luxurious: flawless rooms meld the best of Japanese and Western architecture, secluded open-air onsen baths are ensuite to all suites, and exquisite French Kaiseki dinners are unparalleled at all but a handful of the world’s best restaurants. 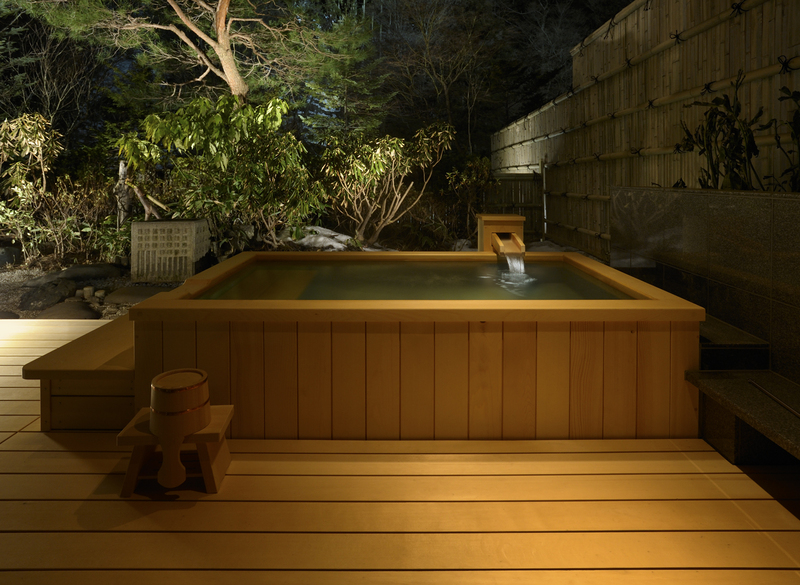 The Kaichoro’s recent opening belies a rich history – the Fukuda family has been running ryokan in Ikaho Onsen for 17 generations. 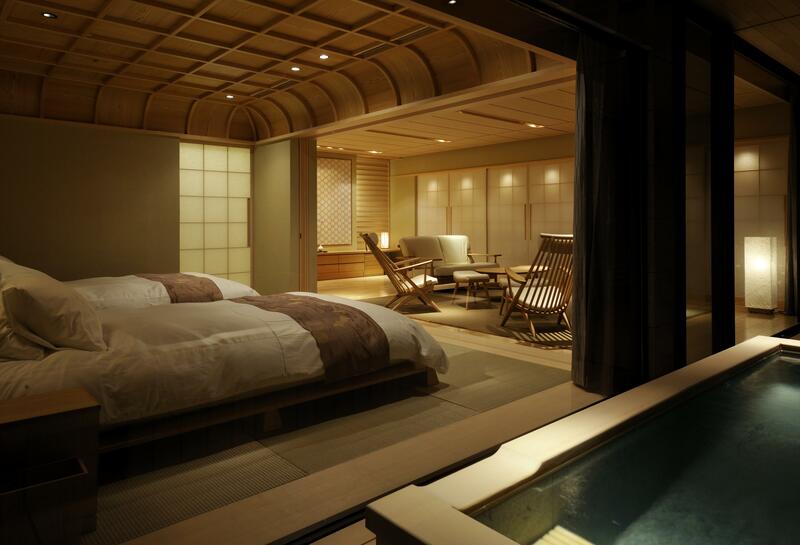 The modern Kaichoro – cradled by the larger and longer running Fukuichi ryokan – is a luxury incarnation of an inn run by the Fukuda family 14 generations ago. 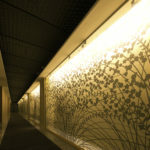 This incarnation is modern indeed, and rooms reflect the best of luxury ryokan in a Zen like simplicity as well as all that is best in a luxury hotel, with futuristically high-tech lighting and music controls, numerous flat-screen televisions, and sliding screens which stylishly hide this all from sight. While the rooms are simply exceptional, the food is breathtaking. Six months before the Kaichoro opened its doors, Chef Shigeru Arai searched Japan – and much of Europe – for the very best ingredients. Those not grown in the ryokan’s organic kitchen gardens are sourced directly from exclusive suppliers, many of whom also supply the Emperor’s kitchens. 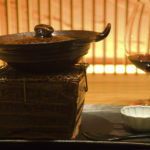 Dinners are a fusion of traditional French and Japanese techniques and seasonal luxury ingredients, and are served with exceptional sommelier-chosen complimentary wines and sakes. 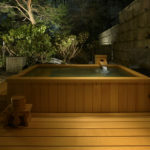 Ikaho Onsen is nestled in the misty hills of Gunma Prefecture, about an hour by car from the Shinkansen Station at Takasaki and two from Tokyo. 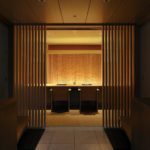 Designed by leading Kyoto architect Kakuo Matsumura, Kaichoro’s architecture remains somehow fundamentally Japanese, while, like the ryokan’s unforgettable cuisine, seamlessly modernised by incorporating international elements. Using the uniquely Japanese principle of “wa” (which roughly translates as “Japanese-ness”), Matsumura retains the clean, Zen-like lines for which Japanese architecture is so renowned. 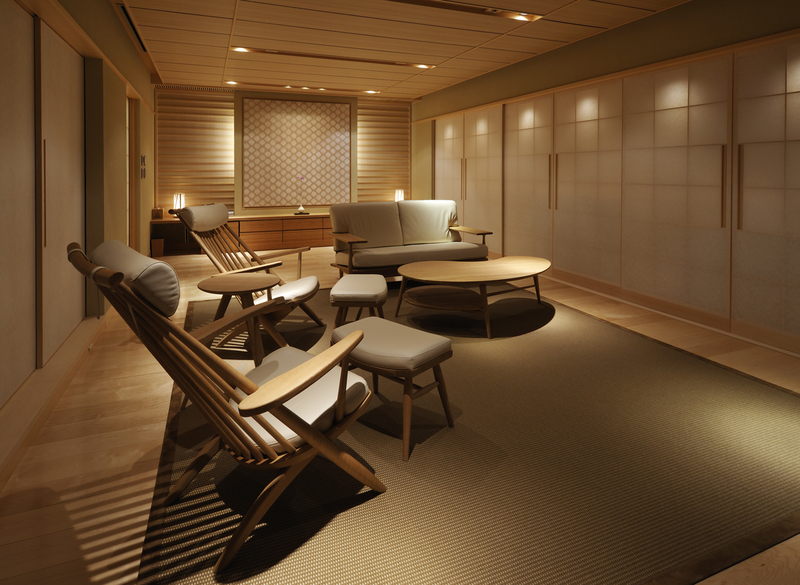 Liberal use of traditional Japanese wood, tatami matting, and an updated version of the classical shoji screens are paired with cleanly styled European furniture in some rooms, while others are more strictly traditional, with floor-level furniture and futons. 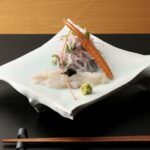 This sleek fusion spills over into the restaurant, where the incredible meals are served on dishes that are works of art, and made by celebrated craftspeople throughout Japan. 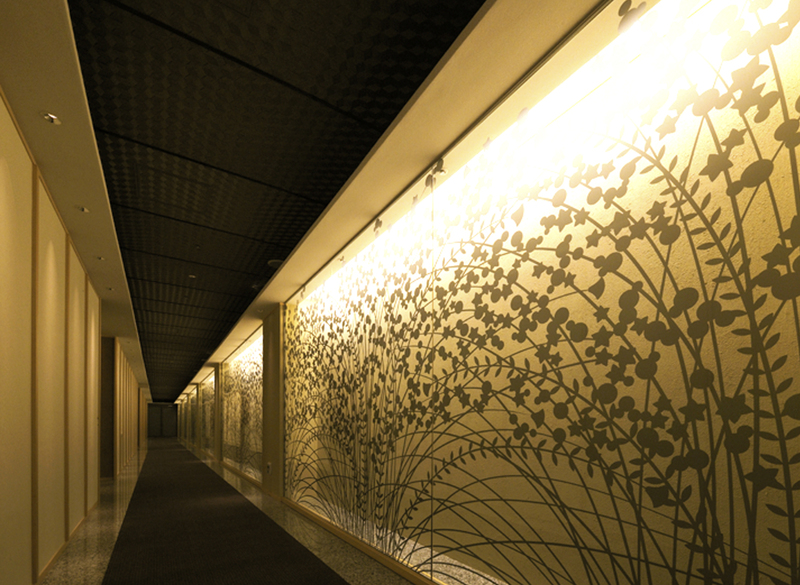 Although the Kaichoro achieves an enviable understatement to its design, the overall effect is unforgettable. 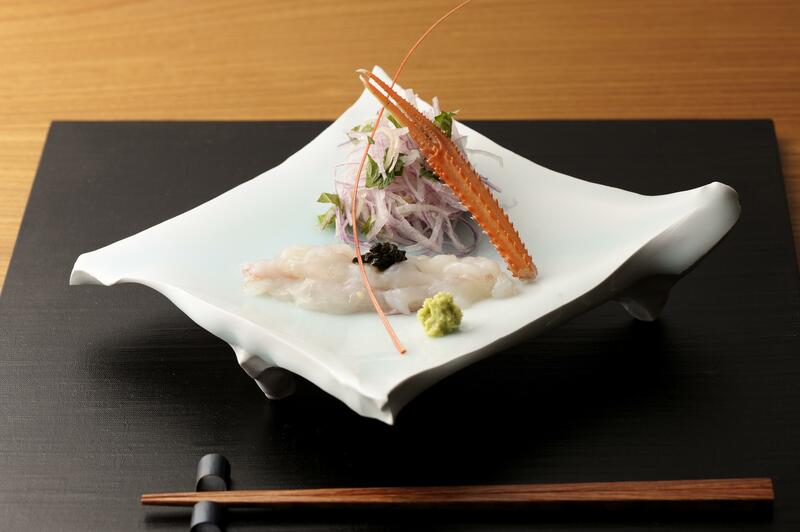 Kaichoro Ryokan boasts some of Japan’s – if not the world’s – best eating. 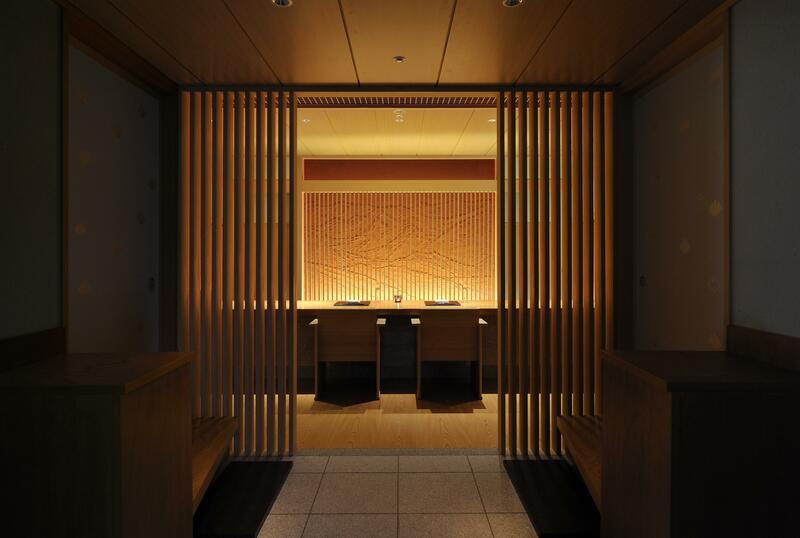 It would be easy to forgive anyone wishing to stay at this ryokan simply to have the opportunity to eat the exquisite fusion of French and kaiseki traditions prepared by the capable hands of Chef Shigeru Arai. Menus change monthly to reflect the seasons. 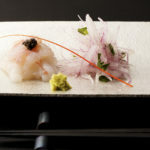 Autumnal ingredients, for instance, included brown truffles, beluga caviar, and matsutake mushrooms, along with inspired combinations of both western and Japanese luxury ingredients: grilled aubergine with mackerel sashimi and chrysanthemum petals, warm lobster in mascarpone sauce with rocket, sukiyaki made with local wagyu beef and French burgundy. 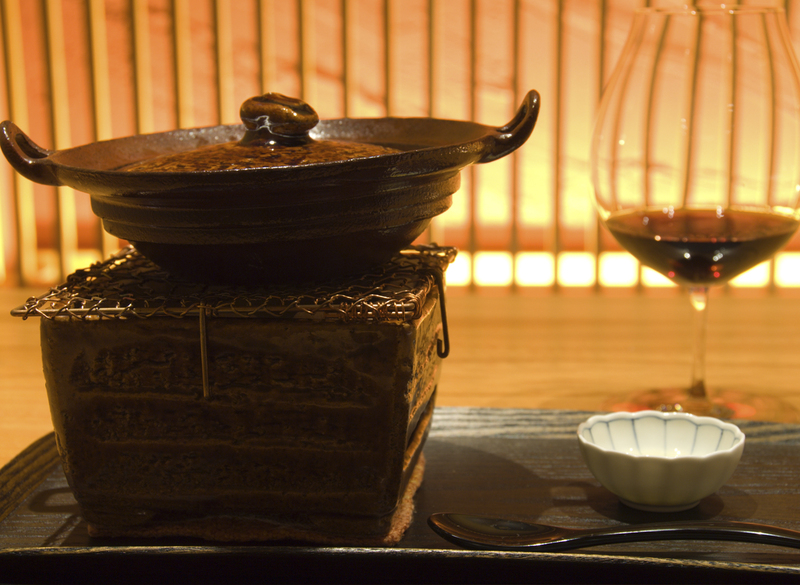 Meals are served dish by dish, in the style of tasting menus and traditional Japanese kaiseki. 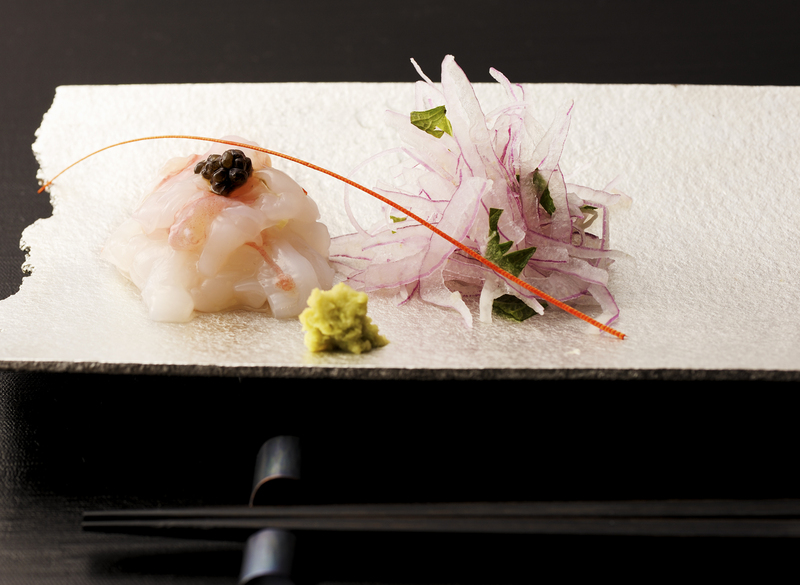 Each course is expertly paired with sommelier-chosen wines and sakes. Chef Arai’s expert preparation of exceptional organic ingredients is comparable to such legendary European establishments as El Bulli in Barcelona, La Maison Veyrat in Veyrier du lac, France, and Le Cerf, Cossonay, Switzerland.